There is only so much time in a day, so in order to research early 19th century vineyards in Washington, D.C., I must occasionally resort to a post of tasting notes. Over the weekend I have found some really interesting information which I hope to relay within a week. Of the ten wines listed below the 2012 Lamoresca, Nerocapitano was my favorite. This was an awesome wine that I would love to see for sale in Washington, D.C. 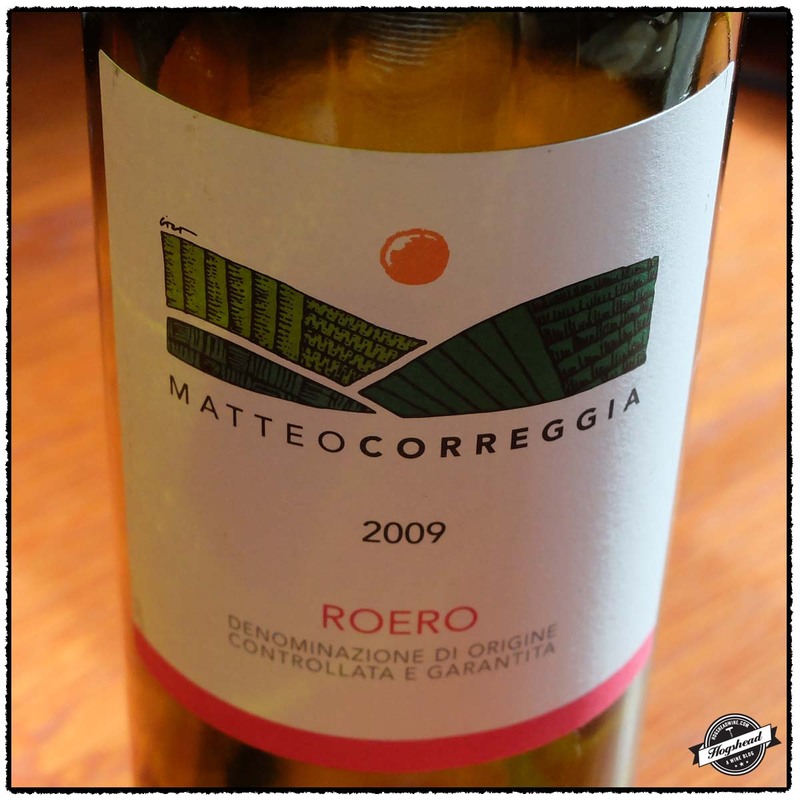 I continued to enjoy the wines of Matteo Correggia in the form of 2009 Matteo Correggia, Roero. This could stand a little more bottle age. 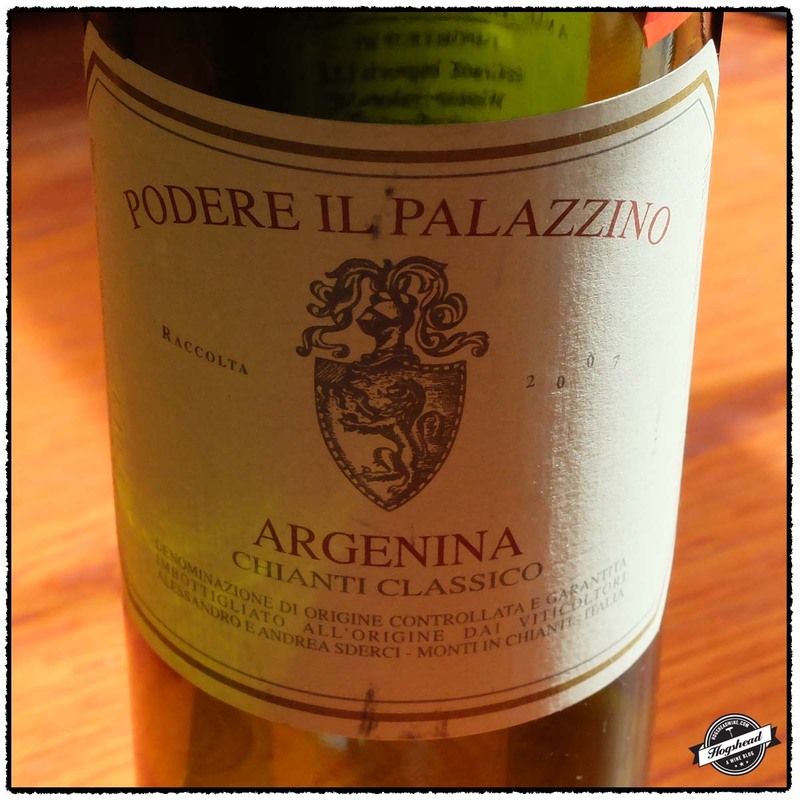 Also do not miss out on the well-priced 2007 Podere il Palazzino, Argenina, Chianti Classico. A wine imported by Williams Corner Wine is typically interesting and so was the 2009 Bocchino, Blincin, Barbera d’Asti Superiore. I often pick up bottles solely based on their name. 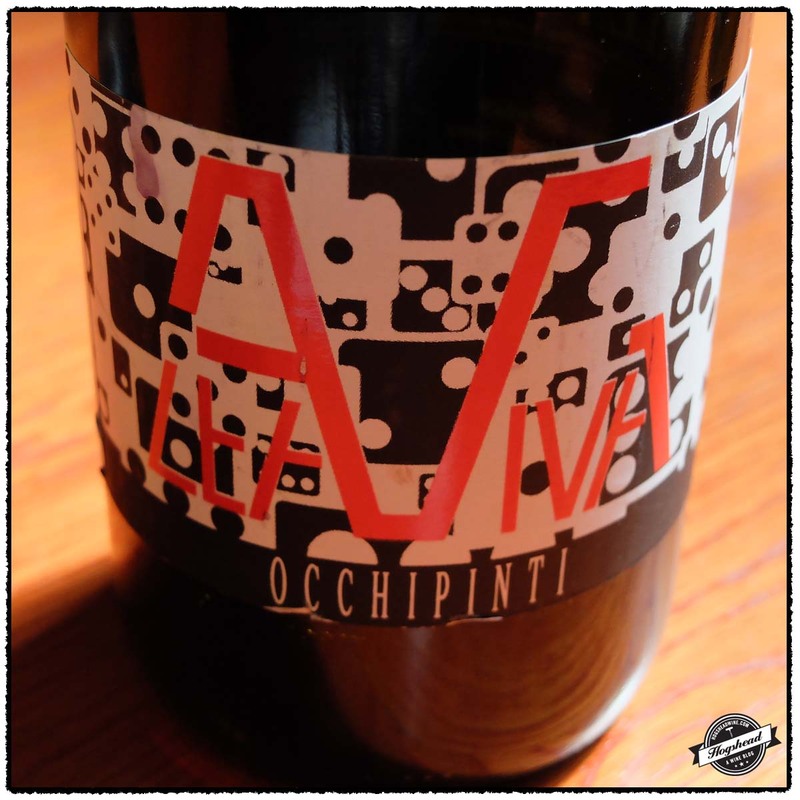 On a side note the 2011 Occhipinti, Alea Viva was a complete wreck when we first opened it. Jenn refused to drink it at first and I quickly agreed. I forgot about it for a few days until I found it in the Eurocave. It was completely different and so much better. Strange. 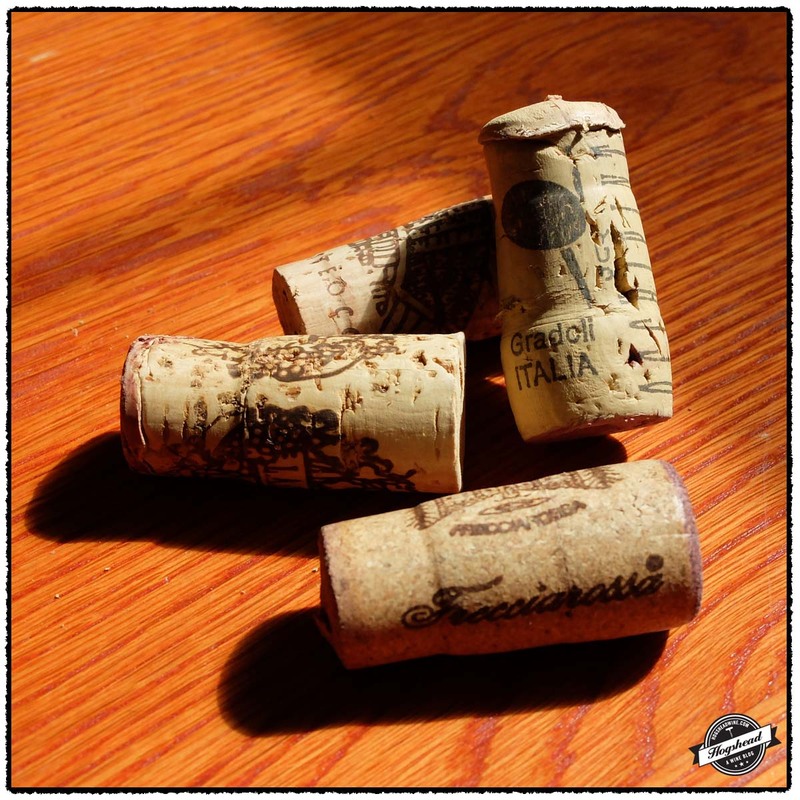 The Occhipinti and Lamoresca were purchased at Chambers Street Wines. All of the others were purchased at MacArthur Beverages. Imported by Jan D’Amore Wines Ltd. Alcohol 14%. The color was a light cherry with a hint of garnet. 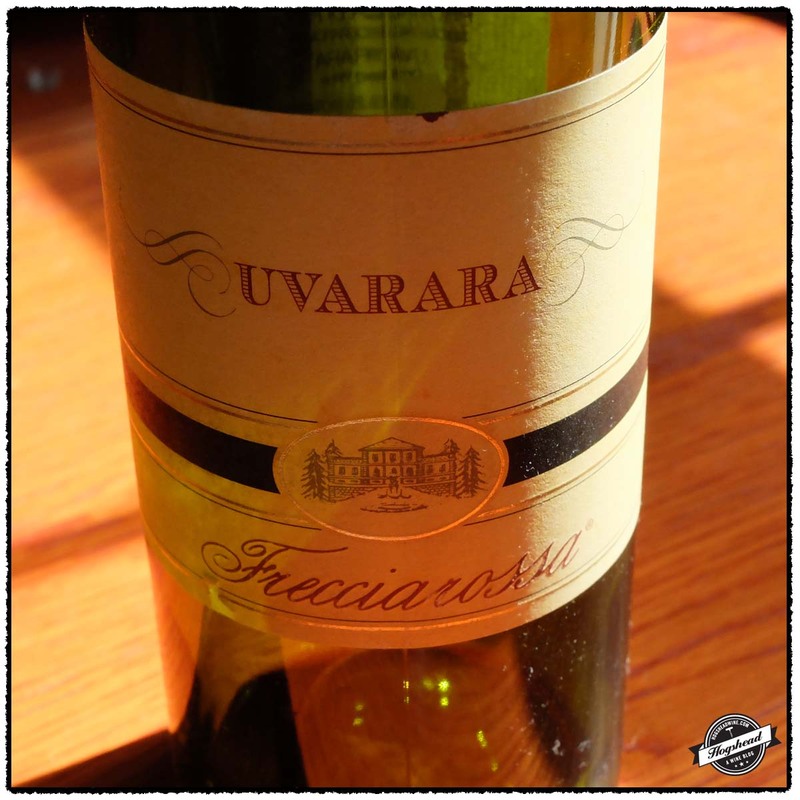 The nose was floral with berries and ripe, rich white floral aromas. The first night there were light flavors of orange-peel and fruit, which were a bit firm with acidity that put the black fruit on edge. Actually, quite rough and not attractive. On the third night the wine was much better with rounding, cherry flavors and enlivening acidity which hit the back of the throat in the aftertaste. There were good flavors, intensity, and cinnamon like spices in the finish. Should age beyond one year. ** 2014-2018?. Imported by SelecitoNaturel. This wine is 100% Frappato which was fermented with indigenous yeasts in open barrels then aged in old wooden barrels and cement. Alcohol 12.5%. There were lovely, ripe plum and white peach aromas on the nose. Rather Sicilian. The mouth follows the nose with a very different set of flavors, a hint of glycerin, and fruit which was seamlessly integrated with the acidity. There was a little liveliness on the tongue tip and were sweet, ripe tannins on the fums in the finish. Really nice. *** Now-2015. Imported by Palm Bay International. 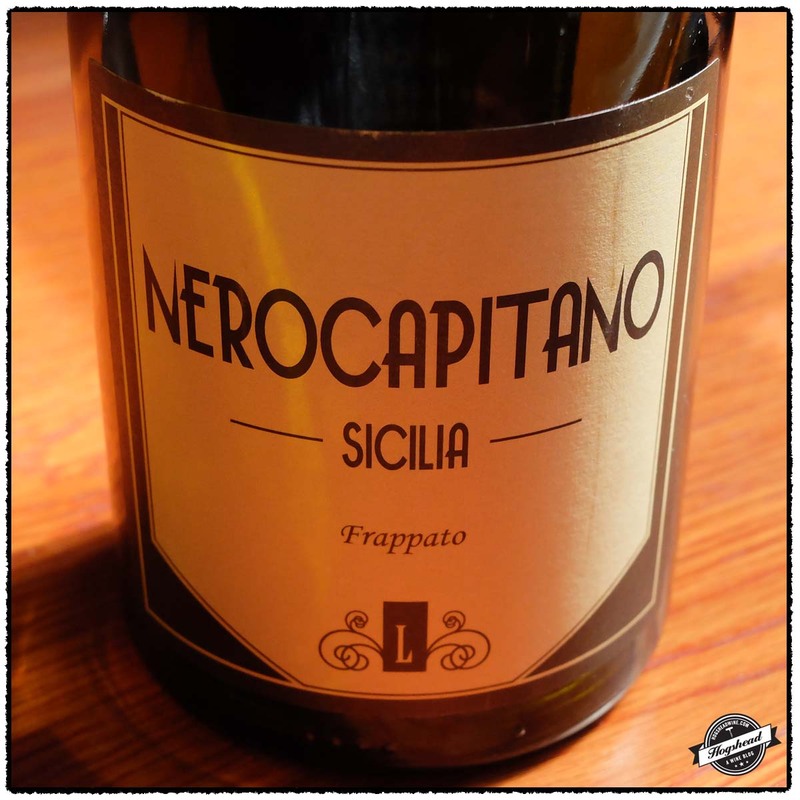 This wine is a blend of 70% Nero d’Avola and 30% Frappato. Alcohol 13%. The nose bore small red berries with a certain blackness. In the mouth this wine was serious with focus. It was light and round at first with almost orange acidity and gentle, orange peel flavors. There was some texture in the finish. It had a little black tang on the sides of the tongue then acidity which picked up a little in the finish. It was expansive then drying and minerally. On the second night there was bacon smoke in the finish and a little red candy. Very approachable but needs a year or so. **(*) 2014-2019. Imported by Banville and Jones Wine Merchants. 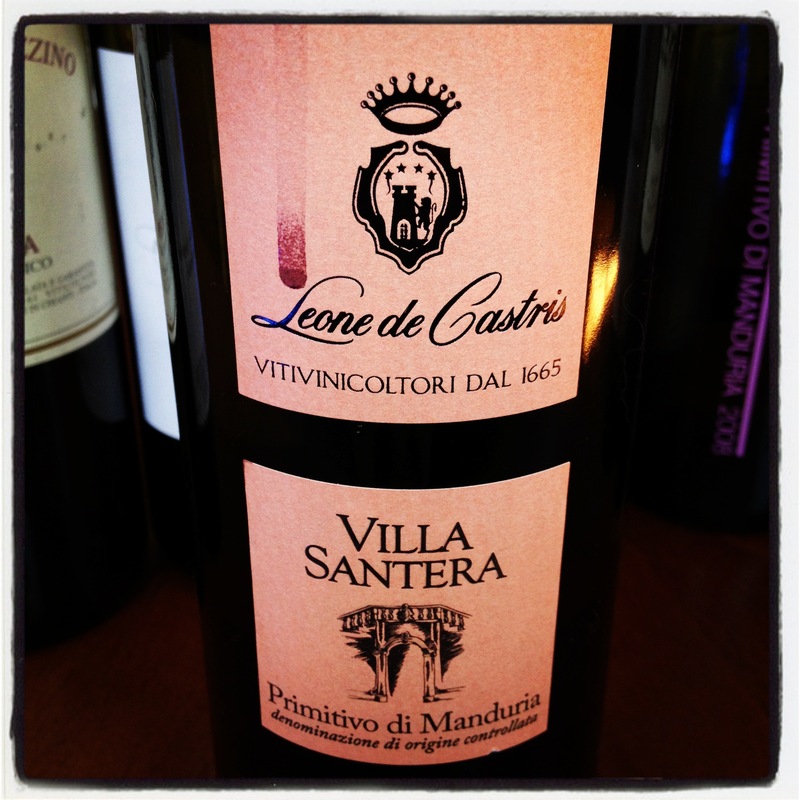 This wine is a blend of 95% Negoamaro and 5% Malvasia. Alcohol 13%. Gentle, mature with some wood box notes, very approachable, and overall balance. A pleasant wine to drink now. ** Now. Imported by J.W. Sieg & Co. Alcohol 13.5%. There was a light but decnet nose with some fine scent. In the mouth red fruit and red grapefruit mixed with lively acidity. The firm but good fruit carried on with drying, grapey tannins. ** Now-2015. Imported by Cantiniere Imports & Distributing. Alcohol 14%. The nose was of black red fruit and green herbs. There was a touch of acidity driven black fruit in the mouth followed by a touch of riper, black and red fruit. It became drier with herbs in the finish, some dry tannins in the structure, and more dried herbs in the aftertaste. ** Now-2015. Imported by Enotec Imports. Alcohol 15%. There were ripe flavors of rasins, red and black fruit that made for a almost dried, roundish start. 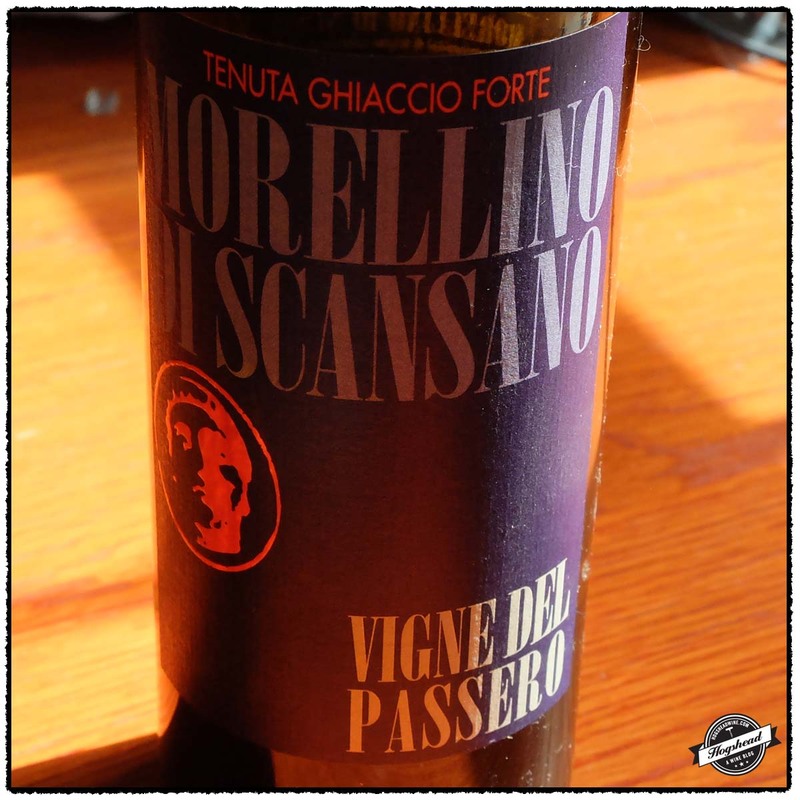 There were very fine, grainy flavors and a ripe grainy texture which builds with red fruit acidity. There were powdery tannins in the finish. Drink while young but should last a few years. ** Now-2016. Imported by de Grazia Imports LLC. Alcohol 14%. The nose had underlying ripe, red fruit. The wine was more complex in the mouth with red fruit, a little wood note, some bitters, and hints of ripeness at the beginning. 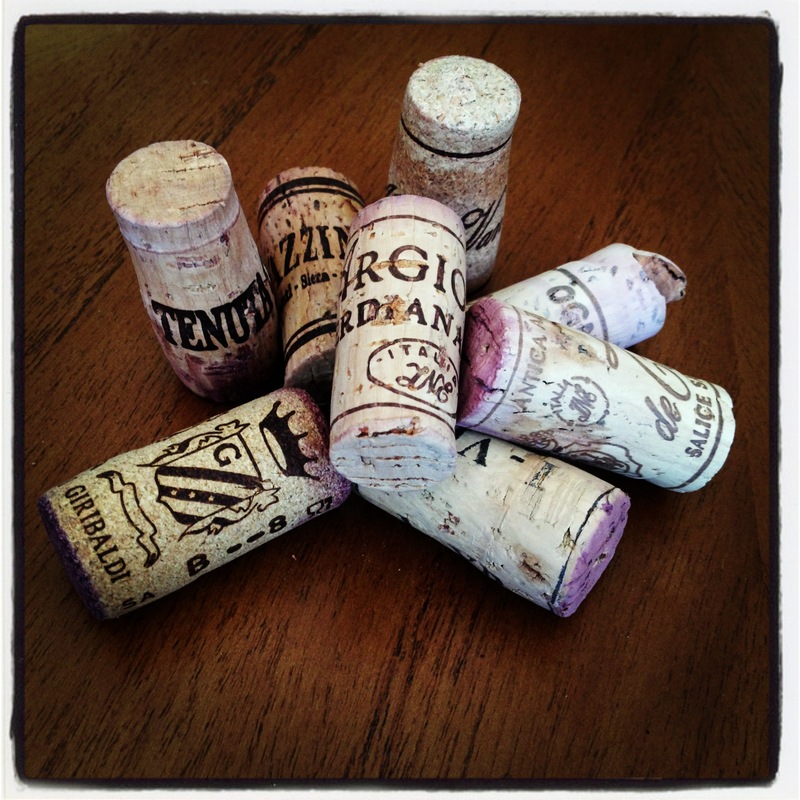 The wine was mouthfilling before taking on drier flavors and texture. There was some spiced mulberry and dry, woodsy tannins. *** Now-2020. Imported by Williams Corner Wine. Alcohol 14.5%. The nose was of red fruit, strawberry, which was made interesting by some herbs and earth. The wine was more forward in the mouth with ripe, black and red fruit, a little wood box, and good tartness. The flavors became redder with air, remained fruit driven, and had a minerally structure. It was a little spicy and balanced out well with air. *** Now-2016. Imported by The Country Vintner. Alcohol 14%. The color was a light to medium ruby center with a garnet, exterior ring. The light nose had red fruit with some orange peel. In the mouth were light flavors that immediately gained weight, expanding in the mouth with wood box and some herbs. The acidity was present on the back of the throat. Black minerals came out and the drying tannins left texture on the gums and inside of the lips. **(*) 2014-2017. 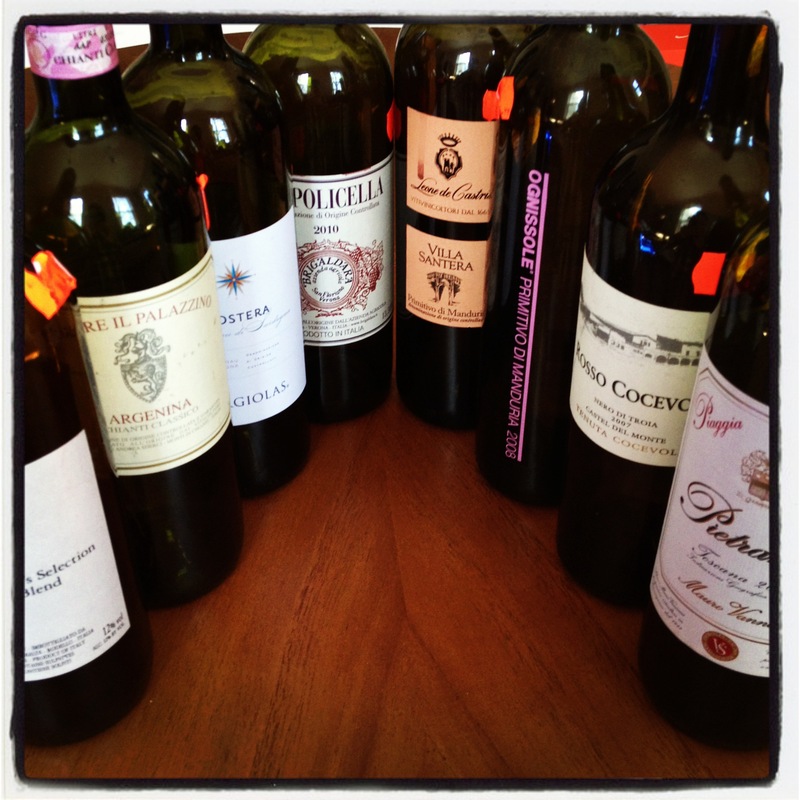 Apparently we tasted a lot of Italian wines lately. Priced between $9 and $19 there is something here for everyone. 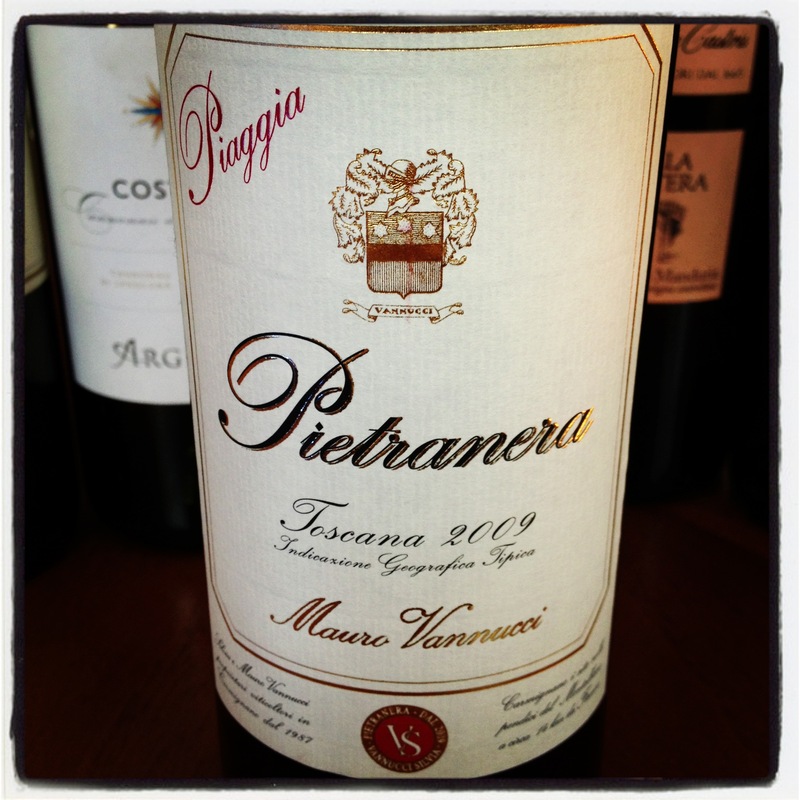 My favorite of the lot are the 2009 Piaggia di Silvia Bannucci, Pietranera and the 2006 Poedere il Palazzino, Argenina. Quite frankly I like most of the Piaggia wines I have tasted and this entry-level wine is no exception. 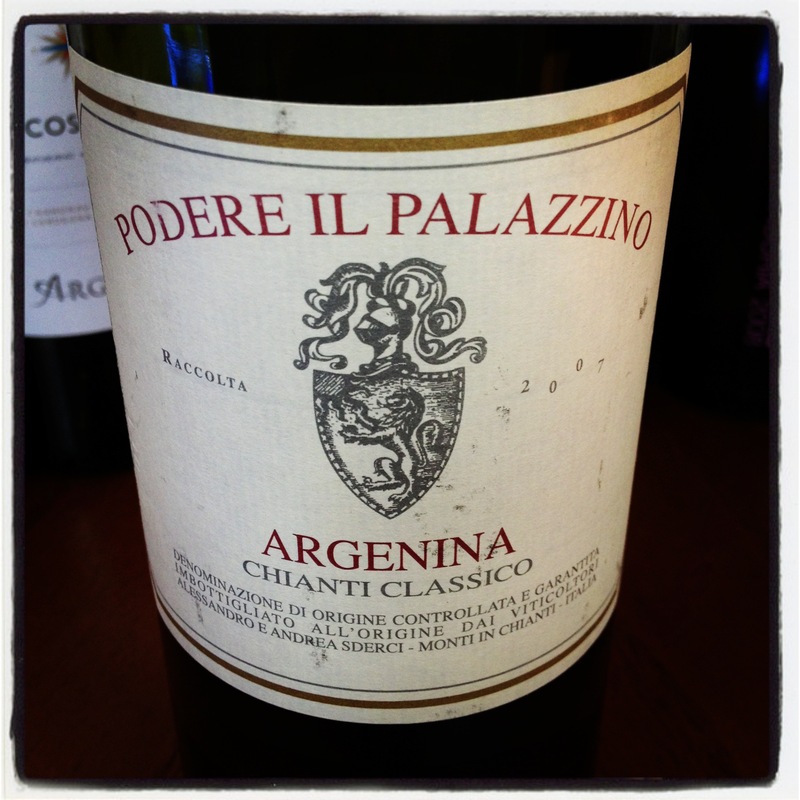 The Palazzino is quite nice too, in speaking with Tim, he prefers this 2006 vintage over the 2007. 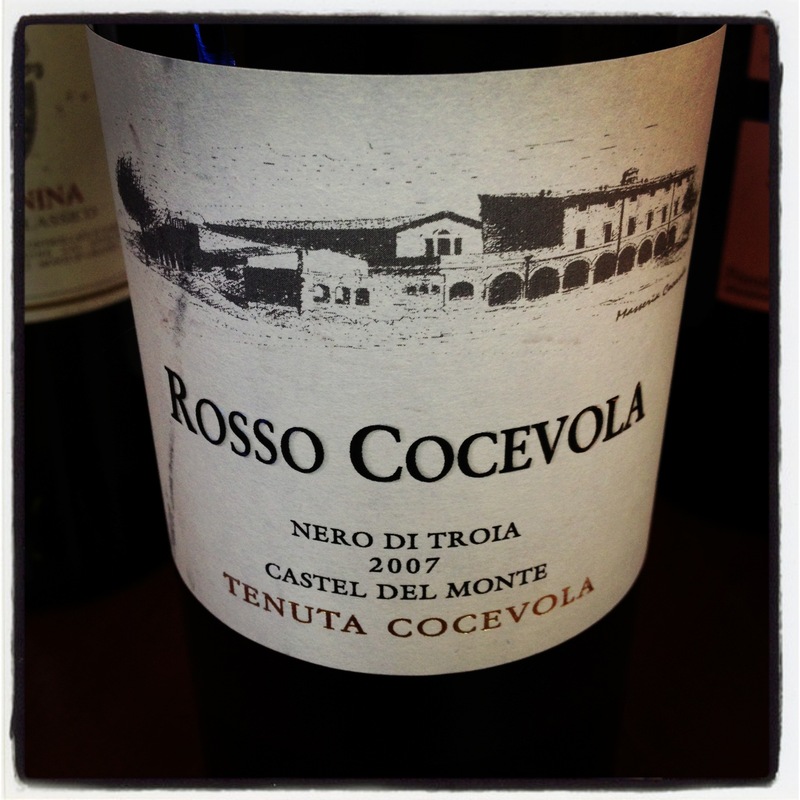 The 2007 Tenuta Cocevola, Rosso Cocevola will alter your normal drinking habits because it is pure Nero di Troia. It is worth a try but best to cellar for a year or so. 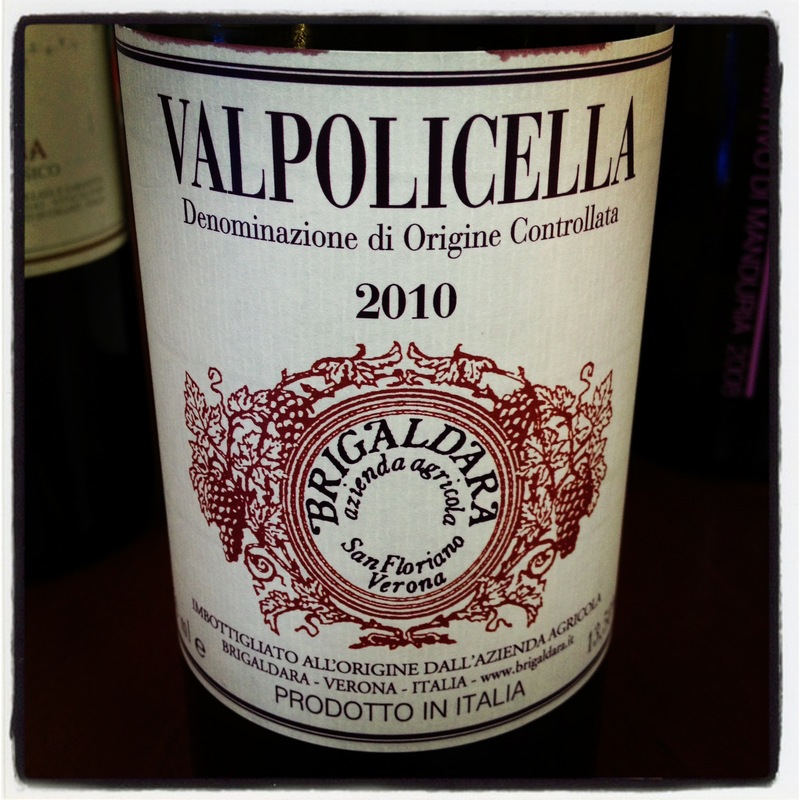 The 2010 Brigaldara, Valpolicella offers good pleasure for a low price along with the more expensive 2008 Fuedi di San Gregorio, Ognissole and the 2010 Argiolas, Costera. 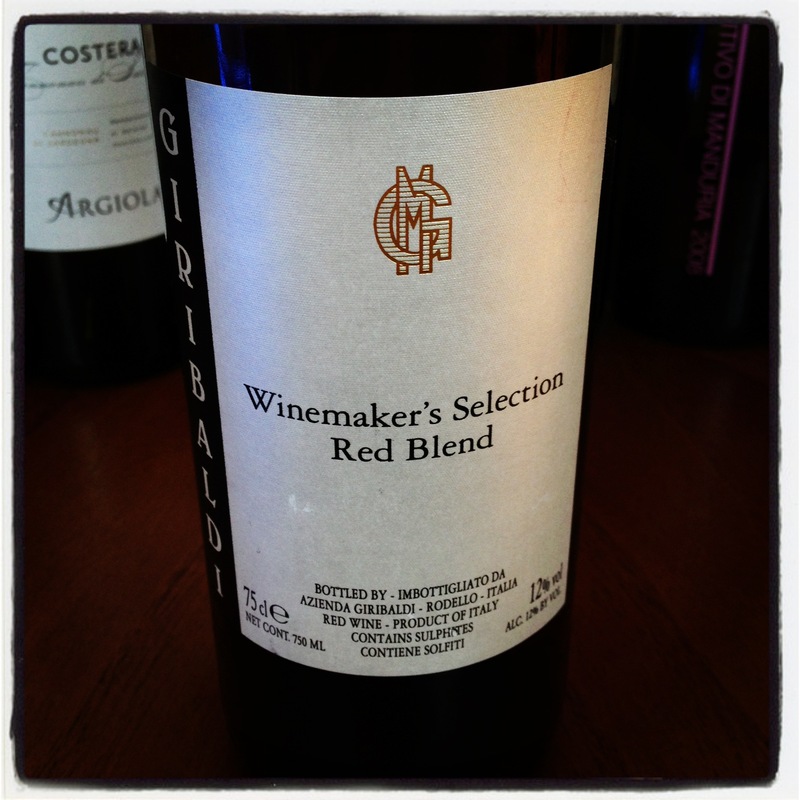 Amazingly the least expensive wine, the 2011 Giribaldi, Winemaker’s Selection Red Blend at $9 per bottle, had my favorite nose. My glass provided continuous aromas of floral perfume and fresh berries. The flavors in the mouth did not live up to the nose but it is still worth the price to simply smell. Please find my tasting notes in general order of preference. These wines were purchased at MacArthur Beverages. Imported by Bacchus Importers. This wine is mostly Sangiovese with a little Canaiolo which was fermented with indigenous yeast then aged for 10 months in French oak. Alcohol 13.5%. The light nose was slightly pungent with red and black fruit. In the mouth there was lovely fruit, red, black, and cherry which had depth. There was a good vein of fruit caressed by a wood box note. The acidity is supportive as focused, cool flavors of blue and black fruit come out in the finish. Tasty. *** Now – 2020. Imported by De Grazia Imports. 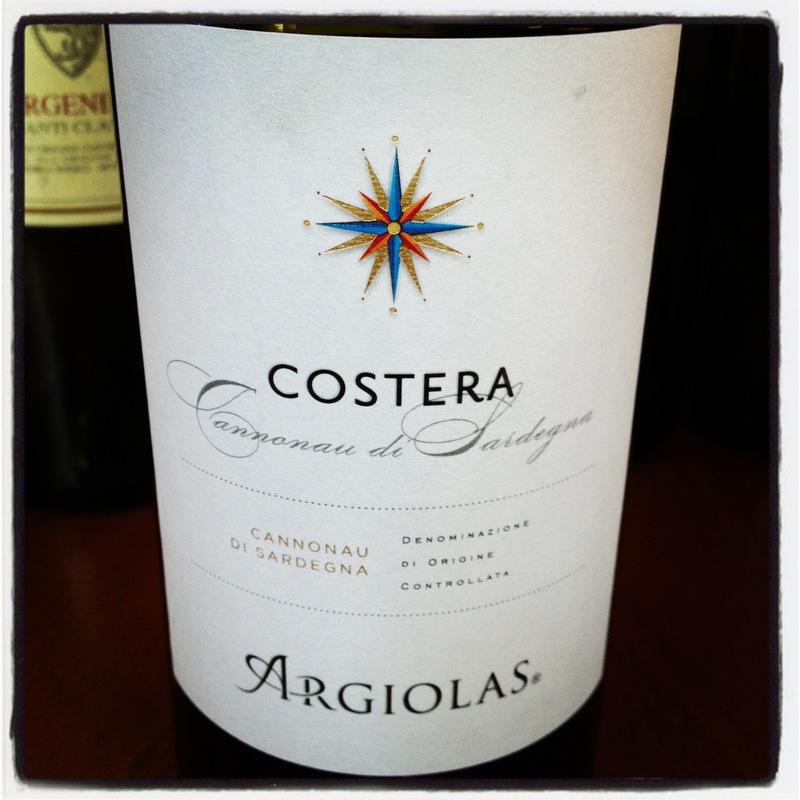 This wine is mostly Sangiovese sourced from the Argenina Vineyard which was aged in small oak casks. Alcohol 14%. The color is a light to medium garnet. The light nose is tight but some cherry aromas escape. There is richer fruit in the mouth with powdery blue flavors then focused blue and black fruit which is drier. There are also drying tannins and minerals. With air there is a controlled, mouthfilling nature but it is not expansive. 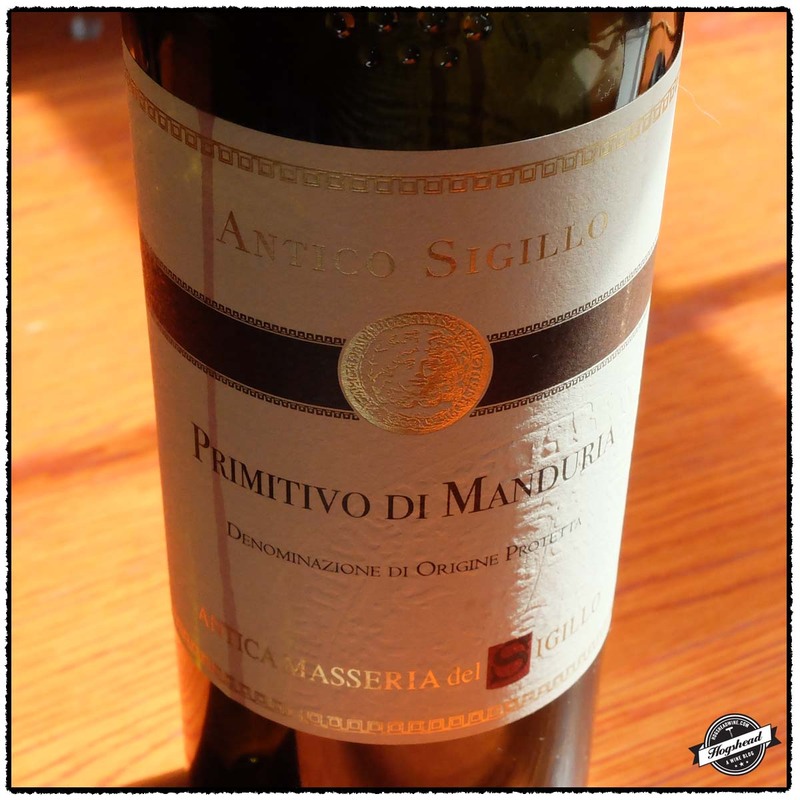 There are smooth tannins, seemingly redder fruit in the finish, and a minerally aftertaste. Tasty. *** Now – 2018. Imported byIl Pioppo. 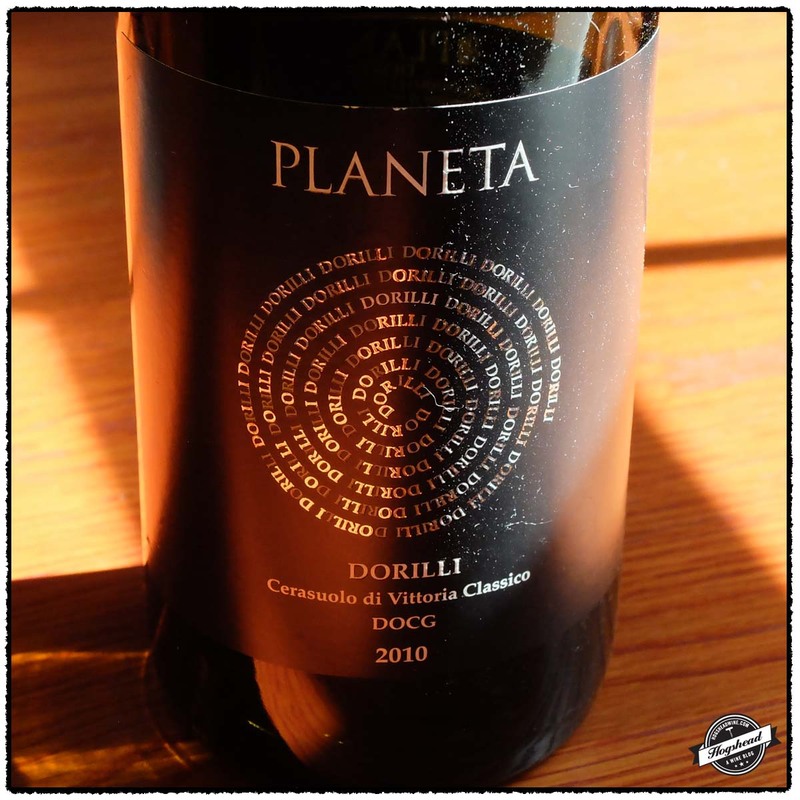 This wine is 100% Nero di Troia which was aged 6-9 months in French oak barriques. Alcohol 13.5%. The color is a medium garnet with a cherry core. the light nose is of low-lying darker, red fruit. The dark red and blue flavors have some compactness before black minerals mix with nice fruit. The acidiyt is on the front of the tongue. 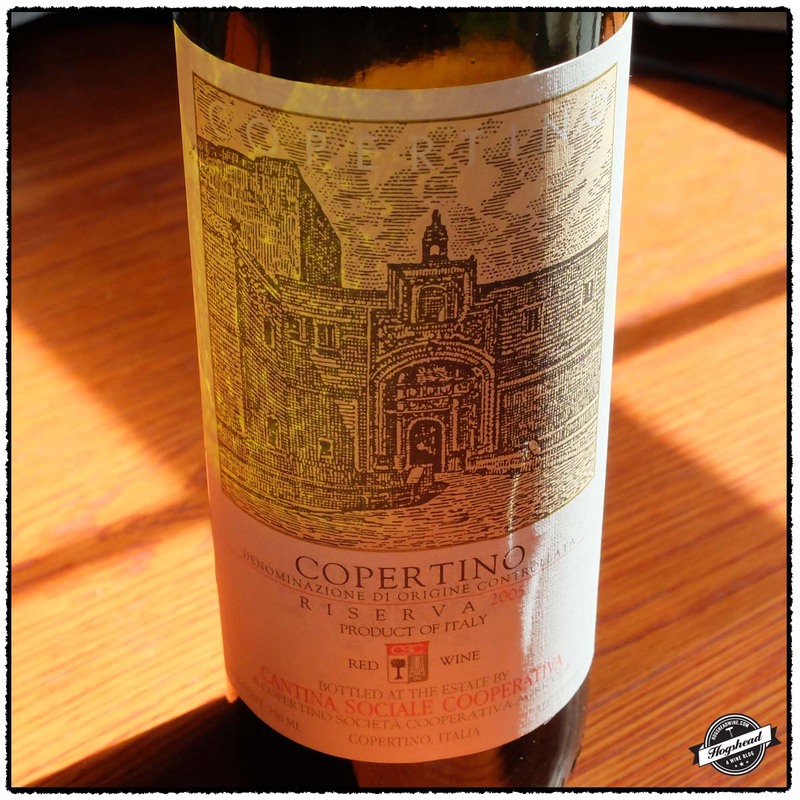 Fine, strong tannins build from the beginning resulting in a firm finish but salivating aftertaste from the acidity. I could use several months in the cellar. **(*) 2014-2018. Imported by Vinifera Imports. Alcohol 13.5%. The color is a light ruby with a touch of garnet at the edge. The light nose is raspberry candy. In the mouth there is pretty, little black and red fruit along with some dried herbs and acidity. It has some weight and a little ripeness in the finish. Flavors of cranberry mixes with acidity that hits the back of the throat. The finish has a dark hint, some structure, and a hint of grapefruit. ** Now. Imported by Palm Bay Imports. This wine is 100% Primitivo sourced from 25-year-old vines which were destemmed and aged for 14 months in new French oak. Alcohol 14.5%. The nose was light with lots of mixed berries. The mouth brought blackberry and blueberry fruit which became a little round and ripe in the middle. There was acidity before the very fine tannins lurked in the aftertaste. With air the flavors turned towards macerated red berries up front and blacker fruit in the finish. Well done. ** Now-2018. Imported by Winebow. This wine is a blend of 90% Cannonau, 5% Carignano, and 5% Bovale Sardo which was aged for six to eight months in used barriques. Alcohol 14%. The nose was light with strawberries and cherry. The cherry and strawberry flavors continue in the mouth with juicy acidity and even more strawberry fruit. The acidity is balanced by ripe texture, some weight, and a hint of minerals. This youthful, grapey wine becomes athletic in the end. It maintains good flavor but not great depth. ** Now-2018. Imported by William-Harrison. 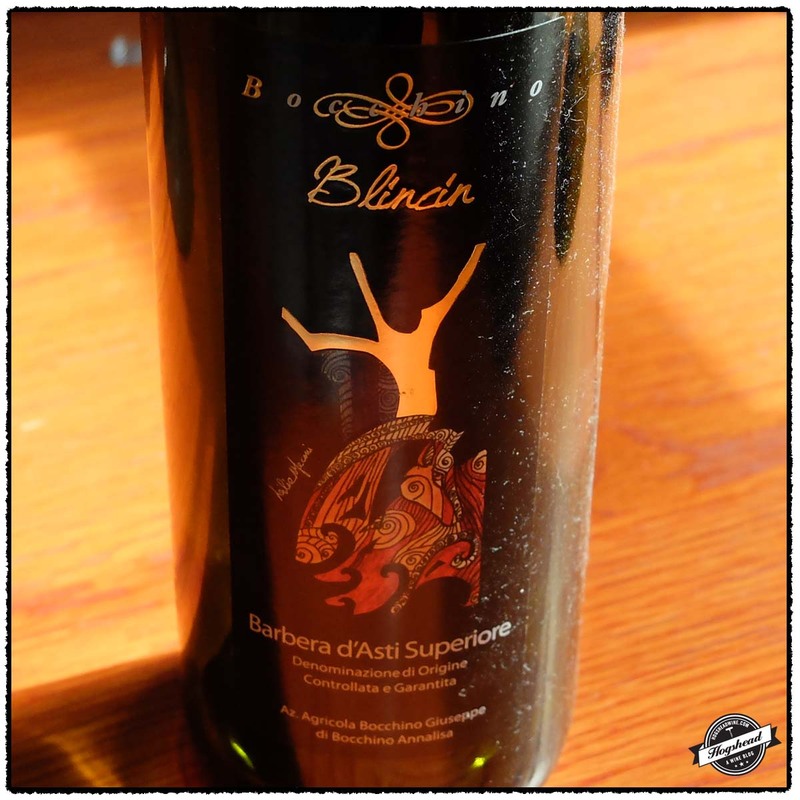 This wine is a blend of 70% Dolcetto, 25% Barbera, and 5% Nebbiolo. Alcohol 12%. The color is a light to medium grapey ruby. The medium strength nose is attractive with floral perfume and fresh berries. It is a beautiful nose that takes on spices. In the mouth there is tart red and black fruit with an initial hint of salt before black minerals come out. The wine is tart on the sides of the tongue with citric tannins on the lips. The flavors do fade by the finish. It is a more forward wine that takes on a wee bit of weight. ** Now-2014. Imported by Winebow. 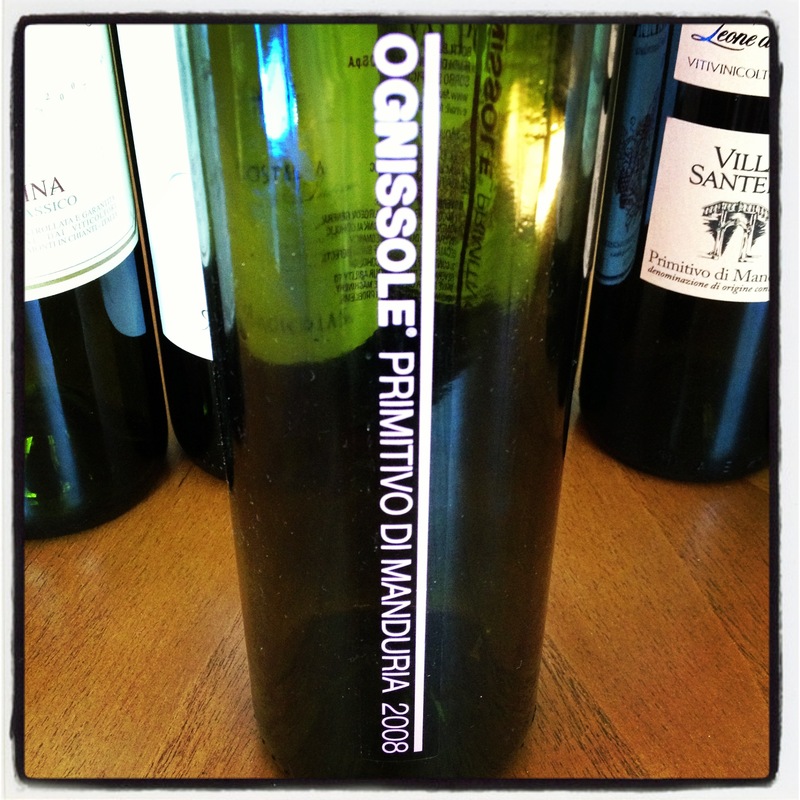 This wine is 100% Primitivo sourced from 40-year-old vines. It was fermented in stainless steel tanks then aged six months in used French oak barrels.Alcohol 15%. The light nose was ripe, pungent, and plummy. There were fresh, almost eucalyptus, flavors in the mouth, spiced herbs, and ripe red fruit. This was a supple wine with integrated acidity but it was a little too sweet for me. There were grainy, ripe tannins. ** Now-2016.